I have a question and I am not sure who to ask. If marketing on the internet is the way to go why is it that Zillow, Trulia and Realtor.com still telemarket to agents? Some of the experts who work for those companies have all sorts of ideas about how real estate agents should market their services over the internet and write and teach about the best practices in the use of social media yet apparently the same rules do not apply when “selling” to real estate agents. Those sites get like a zillion hits and they have apps. 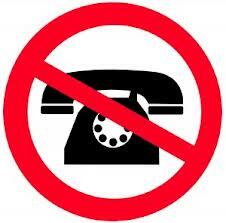 I can think of a zillion ways to market to agents without calling them on their cell phones. How is it that the telemarketers know exactly when the worst time to call is? . . .of course there is never a good time to call me so don’t even bother asking . . . Seriously the third party sites should set a better example. I know you can not survive without our money but agents are like the easiest people on the planet to sell to you should not have to resort to telemarketing. . . at the very least you would think they would take me off of their telemarketing lists so that I don’t have another excuse to make fun of them on the weenie . . HELLO! Hilarious! I never thought of it before but what a good point! Let’s promote how important the Internet is by not using it to sell you on our service. Classic. I get a call each week from the Big Z that tells me my area is FINALLY available but they can’t hold on much longer…hurry! It will go fast….till next week when they call me again.